…arrived in the mail today!!!! CAN YOU STAND IT!!! 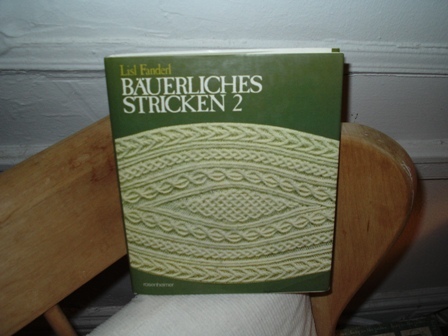 I found it on Amazon used books on Tuesday…and now it’s in my happy knitting hands. The charts are a bit different looking but still followable and the first 20 pages that Meg said were the same in each book don’t look like her’s but again you can still figure it out….Excited doesn’t even come close….can you see the smoke coming from my needles. Now I’m on the hunt for the other two. I feel like a dog with a bone right now. Did I mention the charts are all intact and pristine? Oh, and please done ask what I paid for it…. Holy Moly! I can’t wait to catch you working on one of these! Just the cover looks insane! You can get them from Lacis.com in Berkley, Ca. Yours is prettier though! Whatch gonna make?